为了让更多的人了解陈氏太极拳，更好地弘扬陈氏太极拳，陈小旺大师创编了这套陈氏太极拳十九势，此套拳路短小精辟，又不失陈氏太极拳的风格特点。简单易学，是初学者的良师益友。 The nineteen postures of Chen-style Taijiquan, was created by the 19th generation master of Chen-style Taijiquan, Chen xiaowang, who has combined the old set Laojia, the new set Xiaojia and the small set Xiaojia, and then simplified them into this one set. 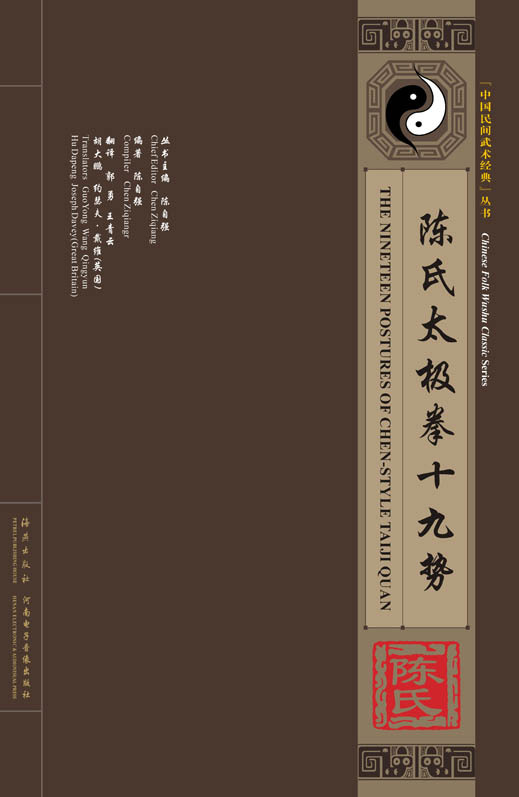 To make more and more people understand Chen-style Taijiquan, and to carry out Taiji culture, Master Chen created and composed the set of nineteen postures of Taiji movements, which is short and full of essence, but still holds the characteristics of Chen-style Taijiquan. It's easy to learn and suitable for new learners.